Delroy and Bettrice in love. Broken hearted Delroy tries to date another woman. 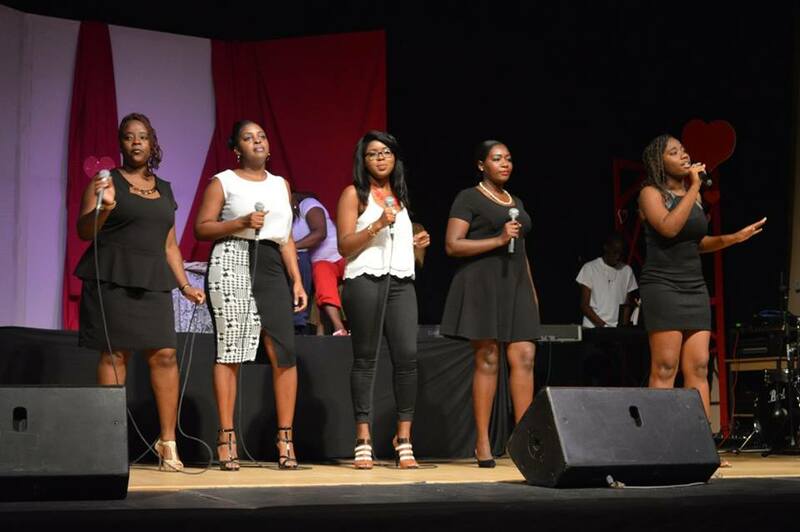 The weeks of preparation paid off on Saturday evening when the combined teen and adult sections of the National Choir presented Vision of Love at the Montserrat Cultural Centre. The show began promptly at 7PM as promised and was opened with the territorial song Motherland performed by Jaena Golden, a member of the Children’s National Choir. Then for almost 90 minutes the audience was entertained through song and with narration by Miss Caribbean Jaycees Queen Sharissa Ryan. Delbert Williams and Bettrice Jones had the unenviable task of acting without speaking parts, the story of young love gone bad. All of the songs from start to finish took us on their journey as they discovered what Shakespeare declared, that the course of true love doesn’t run smoothly. 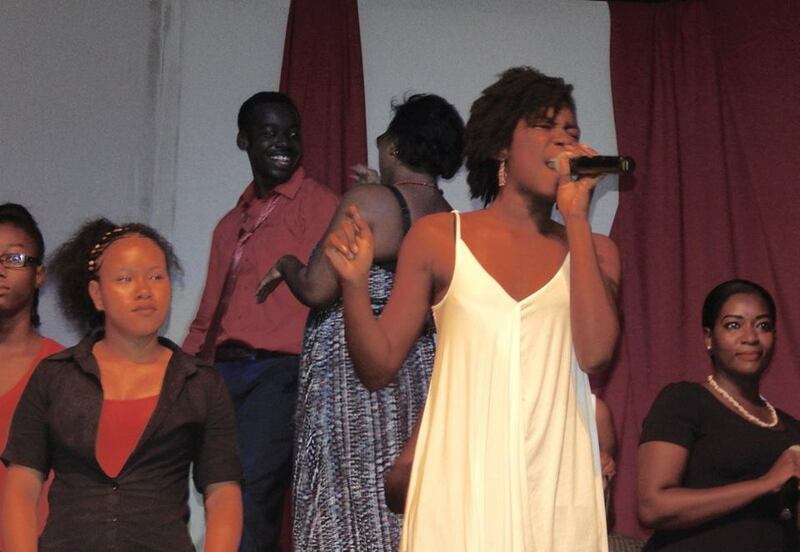 The Adult choir performed several numbers including Natural Woman featuring the amazing vocals of Adena Johnson. The accapella renditions of Mr Sandman and If I Ever Fall in Love showed off the vocal ability of the five ladies in the choir. Michelle Cassell’s performance of Unbreak My Heart was emotional and heartfelt. Male vocalist Yannick Lyn gave another memorable acoustic rendition of Justin Bieber’s Love Yourself. Most of the members of the teen choir are newbies and may not have been able to connect with the lyrics in their songs Stitches, Bleeding Love and Lost in Love. However, they found their rhythm with the old school number Sugar Pie, Honey Bunch. Stephanelle Francois lead the choirs in a really enjoyable version of Just the Two of Us as our couple found their way back together after a long separation and trying to date other people. Two powerful performances were delivered by Teen Choir member Nia Golden who sang Alicia Keys’ Fallin’ with the adult choir. She also closed out the show with the title song Vision of Love along with the teen and adult choirs. 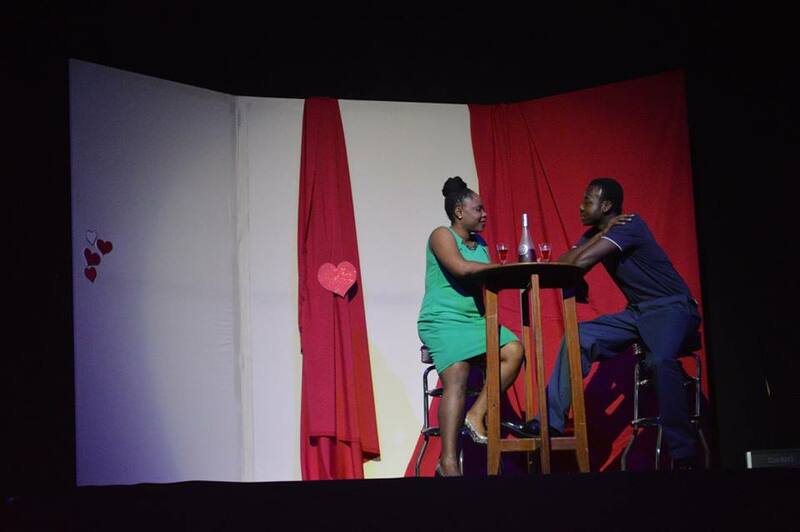 Commendable was the input of the Montserrat Arts Council who ensured that the production ran smoothly with great stage management. Adding a refreshing touch to the evening was the audio countdown to show start times, advice to turn off cellphones and announcement when the show would resume following intermission. 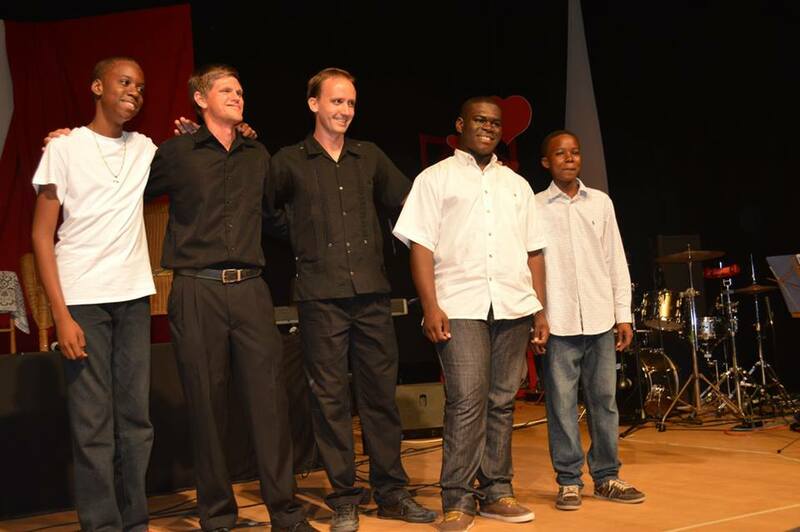 Accolades are in order for Music Director Cris van Beuren who directed the choirs and also created and taught the band of secondary school boys to accompany the choirs. Sunny Lea on keyboard was a nice addition for the evening. The only disappointment on Saturday evening would have been that the entire production was not longer as their aren’t enough quality shows to enjoy on island. Enjoy the closing number Vision of Love below. More videos and photos on our Facebook page.